The combination of a smartphone, fast Internet, and social networking enables you to talk about anything, at any time. For celebrities, showing is better than telling. Facebook Live lets public figures broadcast a video, and fans get to interact with them in real time. 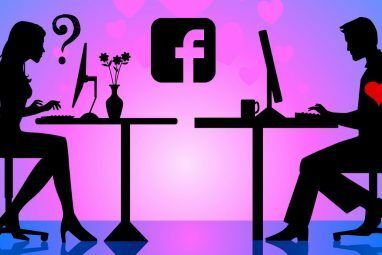 Facebook Live is completely free, so you won’t be charged to talk to celebs 5 Ways To Contact Celebs Without Facebook Charging You 5 Ways To Contact Celebs Without Facebook Charging You Facebook has been experimenting with various different methods for making money. One of which involves charging users to send a private message to someone not on their list of friends. Whether these experiments lead to... Read More . To get access, you need to be a public figure with a verified page, and signed up for Facebook Mentions for iOS. No Android support yet. However, as a user, you can use any platform to talk to a celebrity. Essentially, Facebook Live is much like Hangouts On Air for live broadcasts, only it is optimized for mobile screens. Twitter already has Periscope and Meerkat, and Live seems like an attempt to take those on. For the celebrity: The public figure needs to simply tap on the “Live Video” button in their Post option of Facebook Mentions. Once they name the broadcast, they’re ready to start. Facebook Live can quickly switch between the front or back camera. There is no upper limit for the length of a broadcast, it seems. Broadcasters can also see a notification when other verified Mentions users log on to their video, encouraging celebrity conversations. After all, it’s not like celebs should interact with fans on social media How Do Celebrities Manage Their Social Media Accounts And What Can We Learn From Them How Do Celebrities Manage Their Social Media Accounts And What Can We Learn From Them Celebrities are the premium fuel of the social media world, and people like you and me just keep burning it. I’m certainly not saying it’s bad thing, though. It’s just a fact! However, have you... Read More and no one else. For the user: If you are following a celebrity who just started a broadcast, your news feed will be updated with that video with a “Live” tag. You’ll also get notifications if you aren’t following the celebrity, but you have recently interacted with their page. On the video, users can comment, share and like it, and read other people’s comments too. According to TechCrunch, Facebook will notify you if one of your friends starts watching the same Live broadcast as you. That could be pretty cool, as you could ping that friend and talk to each other in private without leaving the video, thanks to Facebook Chat Heads. 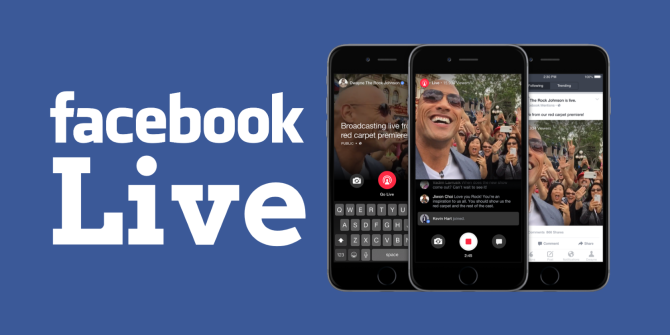 Who Is Using It: Facebook has already confirmed that some celebrities are going to be actively using Facebook Live soon, including Dwayne The Rock Johnson, Serena Williams,Luke Bryan, Ashley Tisdale, Lester Holt, Martha Stewart, Michael Bublé. Footballer Ricardo Kaká has already recorded his video, featured above. “The company likely wants to leverage both its ubiquity and its ever-increasing amount of video content to help establish itself as a go-to destination for live news from public figures,” Buzzfeed reported. It saves videos: Facebook Live videos aren’t deleted once you stop recording. Instead, it turns into a regular Facebook video. So just like that, your favorite celebrity might have their own video channel on FB soon! 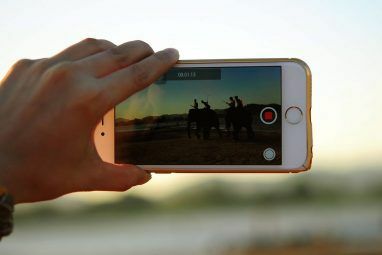 Don’t forget, you can download Facebook videos to view offline How to Save Videos From Facebook: 7 Methods That Work How to Save Videos From Facebook: 7 Methods That Work Is your internet connection unstable? Here's how to save videos from Facebook so you can watch them offline and on demand. Read More . It auto-blocks obscene and unwanted comments: Facebook won’t be tolerating haters, so you won’t get celebs reacting to mean posts and trolls Beat the Bullies! How Celebrities React to Mean Tweets Beat the Bullies! How Celebrities React to Mean Tweets Twitter isn't always a land of love and kindness; sometimes things can get nasty. So, we've compiled a list of celebrities reacting to mean tweets, thus beating bullies at their own game. Read More . Vulgar comments will automatically be hidden, and broadcasters can have a blacklist of topics they don’t want to talk about. Broadcaster-friendly: Let’s face it, Facebook Live will only work if the celebs think it’s not a hassle to use it. And Facebook is making sure of that. Apart from notifying when other celebs join their Live video, celebs can even hide comments together. When comments are on, they are delivered at a steady pace that won’t overwhelm the broadcaster. 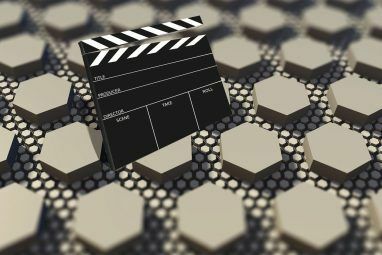 You can’t record videos: If your first reaction was, “Oh, it’s only for celebrities, forget about it,” then you aren’t alone. We felt the same. The broadcast feature is for public figures only, not average joes. Comments don’t replay: After the broadcast is finished, viewers can watch the video but the comments are shown as regular comments. So if the celebrity references a comment he sees during the Live video, you might have to spend some time finding it in the comments. A “disjointed experience”, as TechCrunch calls it. It’s Facebook Only: Anyone who wants to watch it needs an active Facebook account. Twitter is pretty great to track celebs Why Everyone Needs Twitter in Their Lives Why Everyone Needs Twitter in Their Lives What can you get in a mere 140 characters that changes your life or has a deep, meaningful impact? Turns out, you can get a lot. Read More , but it’s no good here. The two biggest threats for Facebook are Twitter-owned Periscope and independant app Meerkat, both of which take Twitter beyond the 140-character experience Think Twitter is Just 140 Characters? Think Again Think Twitter is Just 140 Characters? Think Again Twitter doesn't just have to be about simple old tweets. There is a whole lot more you can do if you have the right apps. Read More . While Periscope requires a Twitter account, and Facebook Live requires a Facebook account, Meerkat can be accessed by signing into either social network. Neither Meerkat nor Periscope save the video in an archive. Instead, Meerkat deletes it as soon as the broadcast is stopped, while Periscope keeps it active only for another 48 hours. Facebook, on the other hand, keeps the video safe till the maker decides to delete it. That’s how it should be. However, this leads to a segregated audience. For example, if The Rock is hosting a Live broadcast and you don’t follow him on Facebook but do follow him on Twitter, you still won’t know about it. Facebook Live is Facebook-only, Periscope is Twitter-only, and never the twain shall meet. The loser, in the process, is the common man who just wants to know when a celebrity is doing a live video broadcast. Would You Use Facebook or Twitter? While Facebook Live is currently unavailable for regular folk, it should hopefully open up to everyone soon. Once it does, would you use Facebook Live or Twitter’s Periscope? Explore more about: Facebook, Online Video.